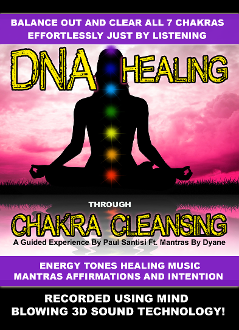 This is the 1 hour version of DNA Healing Through Chakra Cleansing. This audio has a powerful intention combined with healing music, energy block removal energy tones, matching affirmations and specific cleansing mantras by Dyane. This is unlike any Chakra guided meditation that you will ever experience. 30 minute version also availble.